PE Creative: Going Crackers at Christmas!!! 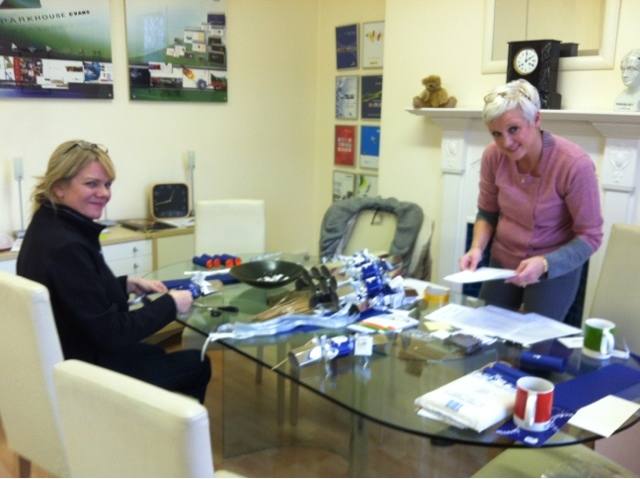 Jo and Helen hard at work stuffing crackers...well Jon helped too, eventually! We were asked to come up with a fresh way of sending out client gifts - and what better than a festive cracker complete with full branding, hat (well, 'buff'), joke and gift vouchers??? So far it seems that CPB clients are enjoying the idea. If you think your business could do with a little pep, then give us a call on 01332 291141 - we'd love to help.